ADHD, or attention deficit hyperactivity disorder, is an incredibly common childhood disorder that can continue throughout adolescence and into adulthood. If you find yourself asking “do I have ADHD?” then consider the symptoms, which include impulsivity, hyperactivity, and/or inattention. Most children will display these traits at some time, and adults can have ADHD with different signs. Learning about the symptoms can help you answer the question you are asking yourself when you wonder if you have ADHD. How Do I Know If I Have ADHD? Trying to learn how you can know if you have ADHD can be challenging, but there are specific guidelines, which allows for a more clear-cut answer to the question of "do I have ADHD", although it can still be challenging to diagnose. Note: There are many other disorders which show symptoms similar to those of ADHD and some of them may also coexist with ADHD. This sometimes makes getting an accurate answer to the question "do I have ADHD" difficult. If you are still not sure about whether you have ADHD or not, click the test here to help you determine that. To accurately diagnose ifyou have ADHD, you will have to undergo a complicated process involving several steps. There isn’t one test that can diagnose the condition because many other issues, like those mentioned above, can overlap symptoms, making diagnosis more difficult. The DSM-5 (Diagnostic and Statistical Manual, Fifth Edition) from the American Psychiatric Association is the method that mental health professionals use to diagnose ADHD. This manual replaced the text revision of the manual’s fourth version (DSM-IV-TR) in May 2013. The DSM-5 provides a diagnostic standard that ensures patients with ADHD are diagnosed and treated appropriately. By relying on the same standard in multiple communities, it is easier to determine how this condition impacts public health and how many children are affected by ADHD. Here is the website you can get it. In those under 17, a possible ADHD diagnosis has to include a minimum of 6 (out of 9) symptoms of inattention and/or hyperactivity impulsivity. That number was not changed for the DSM-5. Those who are 17 or older only need to demonstrate 5 or more of these symptoms. 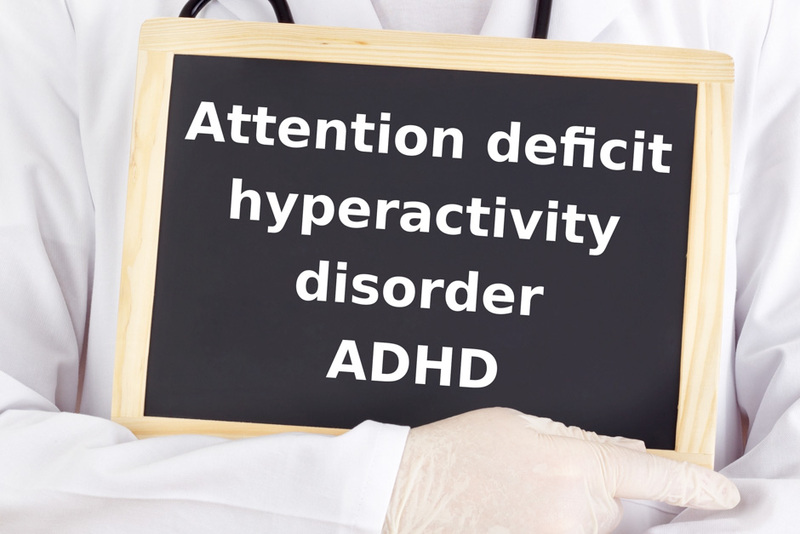 This requirement is a reduction from the number that required in the DSM-4 as the number of symptoms associated with ADHD tends to reduce as patients get older. The DSM-5 website explains that the lower threshold of symptoms is still enough to reliably diagnose ADHD for adults. The DSM-5 also continues the standard that to confirm a diagnosis, a person has to have the symptoms for a minimum of 6 months in a way that is inconsistent with their developmental level. Stimulants are most commonly used for treating ADHD, although there are also other options. Stimulants balance and boost neurotransmitter levels, dramatically treating hyperactivity and inattention. There are both long and short-acting forms. Both antidepressants and atomoxetine are also used to treat ADHD, but they can take a few weeks to begin working. Note: The exact dosage of any medication will vary from person to person, so it is important to follow your doctor’s instructions. Psychotherapy (psychological counseling) can help reduce impulsive behaviors, work on problem-solving skills, improve self-esteem, develop temper-controlling strategies, etc. Psychotherapy for ADHD is frequently either cognitive behavioral therapy or family therapy and marital counseling. Cognitive behavioral therapy will teach skills to change thinking patterns from negative to positive and manage behavior. It can be done individually or in group sessions. Family therapy can help your loved ones cope with your ADHD as well as improve problem-solving and communication skill.